In a major ‘first’ for the manufacturer, Allen & Heath has announced that a range of DEEP processing plug-ins is now available as optional add-ons for its SQ Series. The new options allow SQ users to choose from a suite of plug-ins ported directly from Allen & Heath’s flagship dLive mixing system, including premium compressors inspired by sought-after hardware units and a collection of powerful GEQs. Thanks to SQ’s 96kHz XCVI core, based on latest generation FPGA technology, a preamp and compressor plug-in can be used on each of the 48 input channels, while a GEQ and compressor can be applied to each of the 16 mixes. Unlike third-party plug-in solutions which require additional hardware and add latency and complexity, DEEP plug-ins are built in to the console architecture and add no additional latency to the system, ensuring phase coherency across channels and mixes. 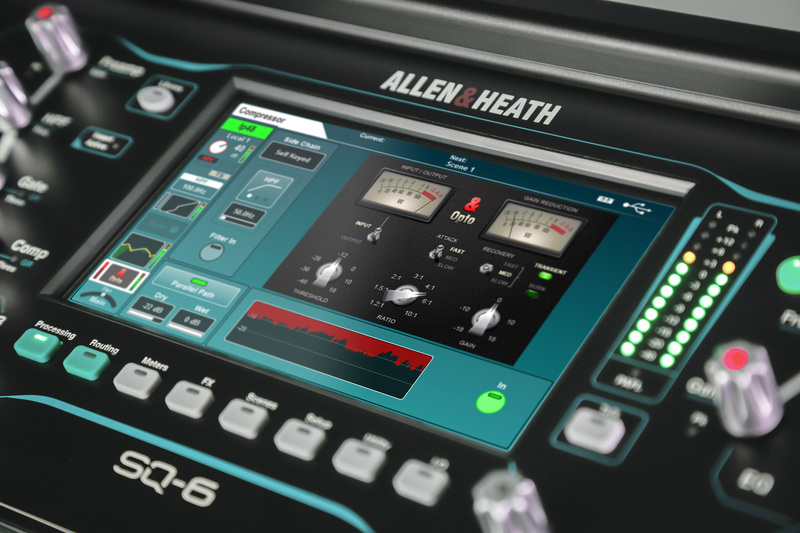 The post ALLEN & HEATH GOES DEEP WITH NEW PLUG-INS FOR SQ SERIES appeared first on Allen & Heath.